"I’ve had this lunch box for 5 years. It seems I adopted the model for it last week." After Tara Lin’s cat Biscuits passed away, she could tell her remaining cat, Gravy, missed his sister so much. 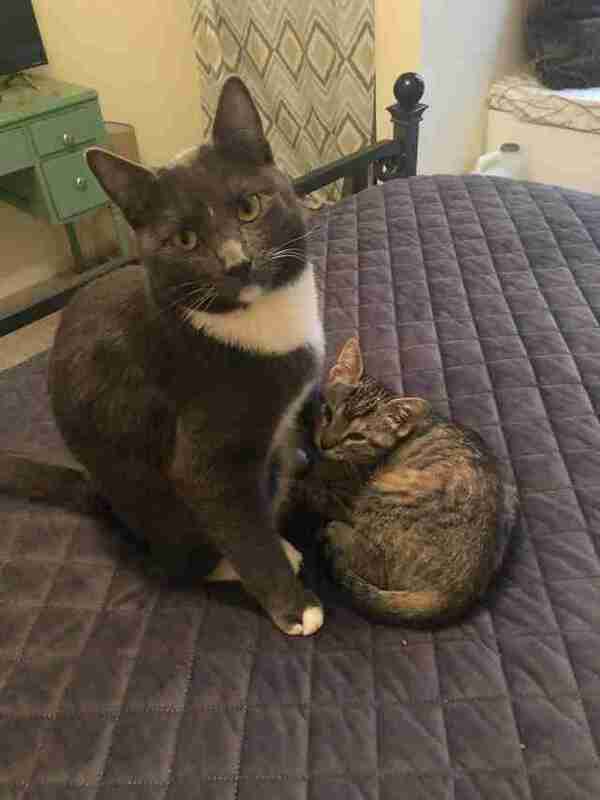 Lin and her husband were considering adopting a new companion for Gravy, and when they saw a post from a friend on Facebook about a kitten who’d been found wandering around outside all alone, they decided to take the leap and officially added Toast to the family. “We were going to wait, but we saw Toast on Facebook and decided, ‘Let’s get Gravy a Christmas present,’” Lin told The Dodo. From the moment Toast arrived in her new home, both her parents and her brother fell completely in love with her. 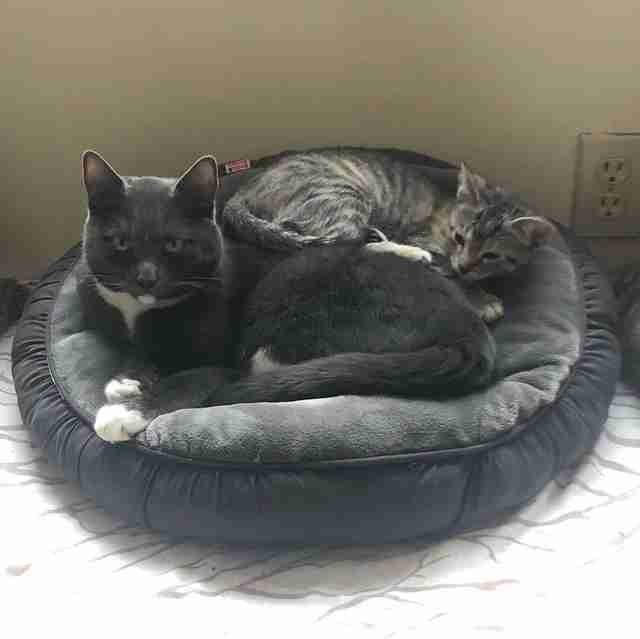 She seemed comfortable with her new family from day one, and she and her brother are now inseparable. Her family couldn’t be happier with the way things turned out — and recently realized that Toast ending up with them may have been fate. 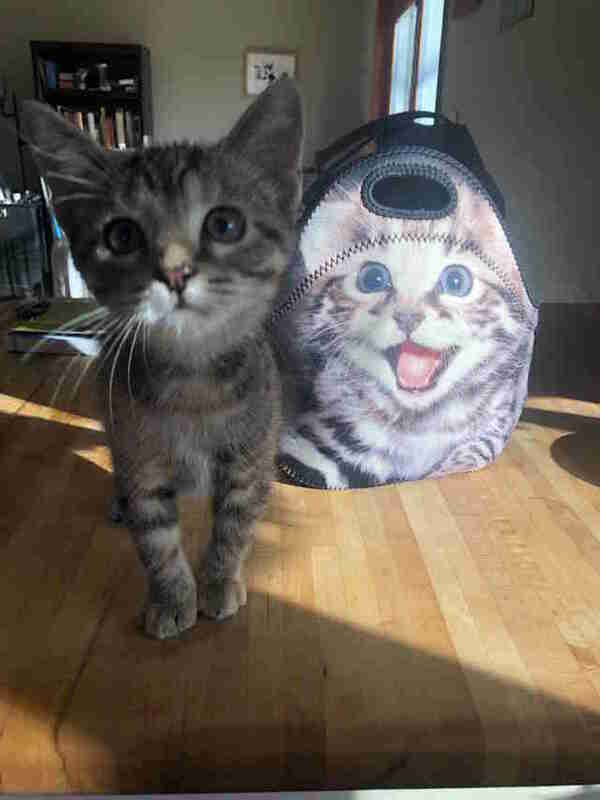 Several years ago, Lin’s husband bought her a lunch box with a blown-up picture of a cat on it. The lunch box is exaggerated and silly, and Lin could not love it more. “I’m a silly person and I saw the lunch box on Amazon and HAD to have it," Lin said. "I’ve had this lunch box for 5 years. It seems I adopted the model for it last week." 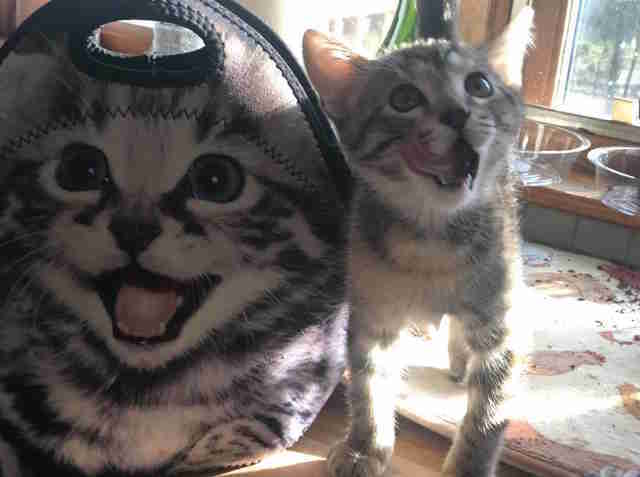 About a week ago, Lin was taking some pictures of her new kitten when Toast decided to wander onto the counter and stand next to the lunch box — and suddenly, Lin couldn’t believe her eyes. Toast looked almost identical to the kitten featured on the lunch box. 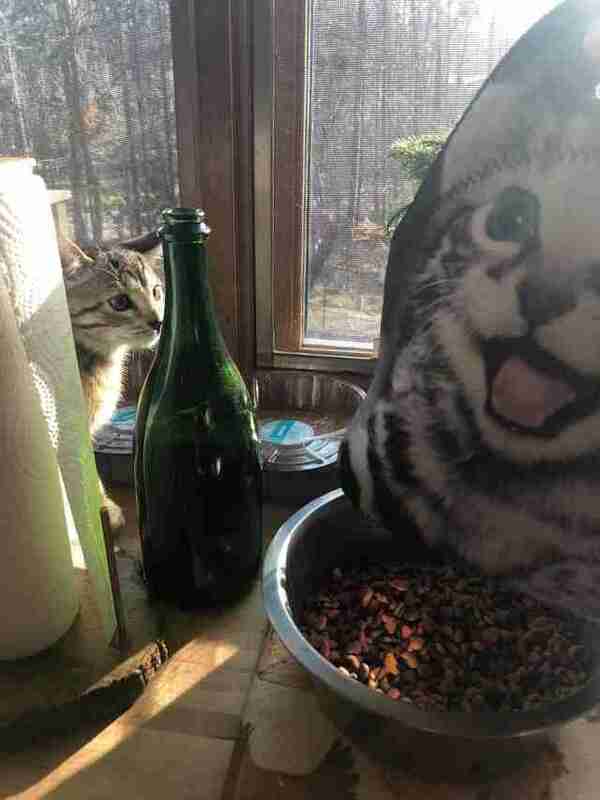 Somehow, Lin had ended up adopting a kitten who looked exactly like the model on one of her favorite things. Lin immediately launched into a photo shoot with Toast and the lunch box, hoping that other people would be able to see what she was seeing and love it just as much. She was somehow able to capture the perfect picture, and after sharing it on Facebook, it became clear that she wasn’t the only one who noticed Toast’s striking resemblance to the lunch box. Toast was originally adopted to be a friend for her brother Gravy, and as it turns out, she was the missing piece her family never knew they needed.